The second phase of our kitchen renovation was the kitchen sink. My dream sink. No, literally, the sink I've dreamed of since I was old enough to have an opinion of sinks. The Kohler white enameled cast iron apron sink- undermounted. 9 inches deep, single basin. Basically, it's a small bathtub. We installed it ourselves. Not. Easy. We started by removing the old sink and cutting the cabinets so we could slide it in. Normally, you would only have to drop it in, then install countertops over it, but our new countertops aren't being installed for another couple of weeks, so we needed to be able to slide it in between the existing countertops and the cabinets. This is what my kitchen looked like for a few days. Notice the pile of dirty dishes on the stove? I was under the impression that the sink installation would only take one day, so the night before, I put off doing the dishes from dinner until the new sink was in. This might have been acceptable if our last meal hadn't been shrimp. Needless to say, I couldn't wait out for the new sink more than one day...I ended up washing these dishes in my clawfoot tub. The cabinets had to be reinforced to hold this 140 pound monster sink but it's finally in! A temporary wood plank holds our new Delta faucet until the new countertops go in. 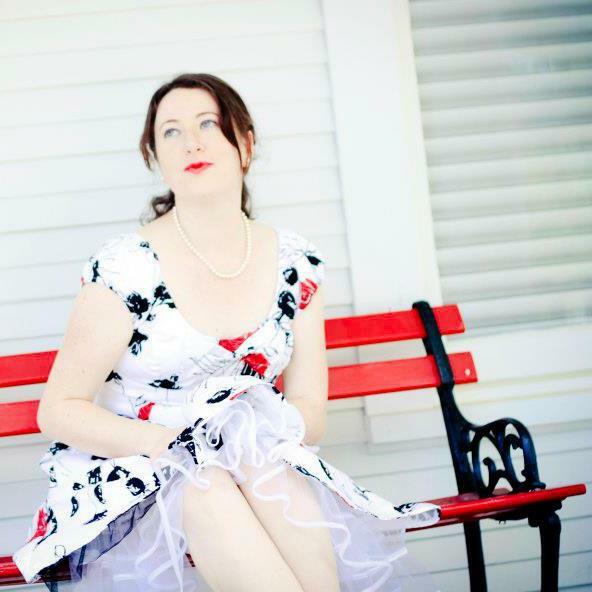 And my new 1950's party dress came in the day we installed the sink so I had to model it. And I had to do a "foot pop." Cause that's how I roll. I have to say, doing dishes in this gigantic sink is truly a joy. Something about it just makes me want to dirty them just so I can wash them. Check out Step 1 and Step 3 of our kitchen renovation! I am loving that sink... and I think i could bathe my two yr old and newborn in it haha! I wanted to ask u... do u like having open cabinets? I've always wandered if I would like having no doors on my cabinets.... i would deff have to keep everything in order that is for sure!!! You must love to cooking when you love you kitchen. The sink is huge and nice. I used to have a Kohler farm house sink in my old house, I really miss how big it was. Great job!! I really appreciate your work.Thanks for sharing this post. Thanks for sharing about the renovation you made of your kitchen. These are obviously the matters which need extra care and attention.